During the next few days the Northwest is about to experience everything mother nature can throw at us: heavy rain, river flooding, a good snow dump in the mountains, unusual cold, gusty winds, and perhaps..yes perhaps...a light dusting of snow in a few lowland locations of western Washington. What's not to like? Snow will not impede holiday travel on Sunday, but heavy rain in the passes and on the Cascade western slopes might make for some tedious driving. The media, and some of us meteorologists, have been focused too much on snow and cold.. Mother nature is like a magician: keeps us watching the wrong thing, while the real story (heavy rain and flooding), always in the open, is ignored. Today, Saturday, will be uneventful with clouds and a bit of light rain. Perfect for shopping or reading a good book. But on early Sunday the real action will begin, moderate to heavy rains, particularly over the western Cascade slopes. Here is the precipitation forecast for the 24-h ending 4 AM on Monday. VERY heavy rain on the western slopes of the central and southern Cascades, reaching 5-10 inches. The heavy rain will cause the rivers to rapidly rise, with some reaching flood stage. 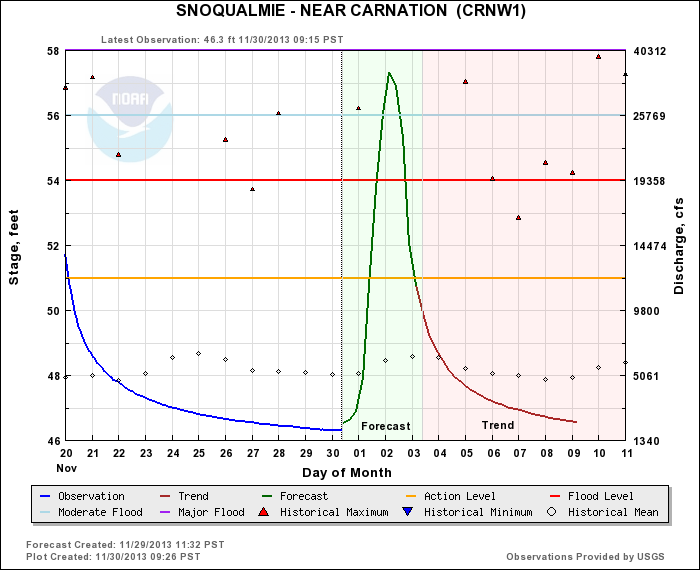 Take a look at the current forecast from the NWS River Forecast Center for the Snoqualmie near Carnation. This is a major flood. On Sunday there will be a large north-south pressure gradient and thus the winds will pick up substantially from the south. particularly Sunday AM. Here are the sustained wind forecasts for 8 AM on Sunday. Strong winds in the Strait (35 knots) and over central and southern Puget Sound (25 knots). The gusts will be stronger. With most leaves down and pruning from previous windstorms, I don't expect a large number of power outages. So we covered heavy rain, flooding, and strong winds--and are just starting here! The cold front will reach the northern WA coast during the morning and push through during the day. The surface forecast map at 4 PM shows the front reaching the southern WA coast...and note there will be strong southerly winds along the Oregon coast at that time. The primo cold air has not reached us yet. During the next 24 hour cold air floods in behind the cold front and from air pushing south from BC. Here is the same surface map a day later...wow...a different world. The cold front has reached the Oregon/CA border and truly cold arctic air (purple) is now in southern BC. Northeasterly winds are now pushing through the Fraser River gap into Bellingham and the San Juans. The atmosphere will be cold enough to snow and substantial snow will fall in the mountains between late Sunday and Tuesday morning. Here is the plot of 48-h snow totals ending 4 PM on Monday. Some locations in the north Cascades will get nearly three feet. Much less in the south Cascades (up to about a foot). Mt. Baker will have wonderful skiing I am sure. Lowland snow? 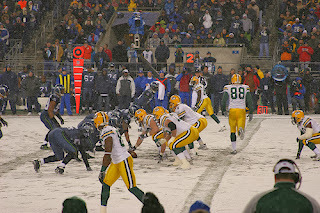 The big question for local media, and a lot of folks are nervous about the famous snow/ice situation at the end of the November 26, 2006 Seahawks game, where some people had to walk home. Quite honestly this is not an idea set up for significant lowland snow...but we will have cold enough air by mid-day Monday. There will not be a general lowland snow event. But there are three possibilities of some light localized snow later on Monday and Tuesday AM: in a Puget Sound convergence zone, at the leading edge of the northerlies coming out of the Fraser Gap, or upslope on the NE side of the Olympics. The models are not going for much, but we need to watch it. We will have very cold temperatures next week..the coldest in two years (last winter was very wimpy in all ways). Lows in the mid-20s will be everywhere west of the Cascade crest, with colder spots getting into upper teens. You don't even want to know about eastern Washington (single digits!). I tell my students that we can get lowland snow when the cold air comes in and when it leaves. Guess what? The current models suggest a significant snow event for portions of western Washington on Saturday. Will give the media something to hype about this week! Are you in venture capital/private equity and have an office in the Bay Area, or knows someone who does? Friday Morning Update: There will be no snow over the lowlands on Sunday and even the passes should be fine through the early evening. The big threat for lowland snow...if it occurs...is late Monday afternoon/Monday evening...more in a future blog. Worried about travel on Sunday? Heard stories about lowland snow snarling traffic or massive snow crippling the passes? Don't worry about it...the latest models are far more benign for Sunday. But another threat looms--very cold air will move into the region on Monday and stick around for much of the week. 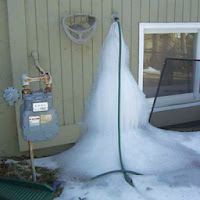 Cold enough to burst your outdoor hoses, mess up irrigation systems, and do other mischief. So let's see what is in the meteorological cards, now that we are closer to the cold-wave ground zero. Thanksgiving Day has been as good as it gets. Clear skies over most of the region, will some fog over Puget Sound and a few valleys (see satellite picture). This time of the year you have a choice: wet and windy or dry, cold and foggy. A strong inversion is above us now, with hilltop locations in the mid-50s and bright sun. Remember this is the stormiest and windiest week of the year climatologically. Clearly, the combination of Chanukah and Thanksgiving has had a magical effect. Friday and Saturday will be Northwest blah. Clouds, a few sprinkles, highs near 50F. Good shopping weather. Sunday is a different story. The latest runs bring a strong trough in from the Northwest, but the timing is about 12-h later than a few days ago...and that makes all the difference. And the movement of the trough is not optimal for lowland snow (too easterly motion). Here is the forecast upper level (500 hPA) chart for Sunday at 10 AM. Impressive trough and low to our northwest. But we are still in SW flow at this time, so the air is still quite warm. With a trough like that expect rain...and I mean heavy rain...including lower elevations in the mountains. Below is the precipitation forecast for the 24h period ending 4 PM on Sunday. Big amounts, with up to 5-10 inches over the lower slopes of the Cascades. The winds will have a strong westerly component and there is a strong rain shadow to the east of the Olympics, stretching towards north Seattle. Those spoiled folks in Sequim will be wetter than those of us in Seattle! Give you a warm feeling. 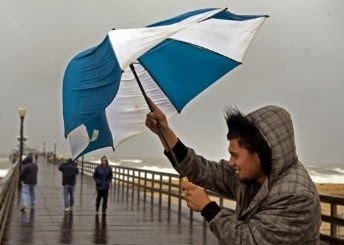 And did I mention the wind? On Sunday afternoon, a strong cold front will be approaching our coast and there will be strong southerly winds (20-30 mph sustained) in front of it. You can see the front on the surface forecast map for 1 PM on Sunday (lines are isobars of constant pressure, colors indicate lower atmosphere temperatures..blue/white are cold). The bottom line is that Sunday will be wet and windy, but no snow messing up driving. And the passes should be ok: the major snowfall there will occur AFTER the front passes around 6-8 PM. Don't wait until 10 PM or later to cross. You might be sorry if you do. On Monday, modified arctic air will move in to the Northwest (see surface map at 1 PM Monday. At this point it will be cold enough to snow in the Washington lowlands north of Olympia, but will there be any precipitation at this time? The current model runs don't show much, but we need to be careful. In a residual convergence zone, or the leading edge of northeasterly air moving out of the Fraser Valley (into Bellingham and the San Juan's) there could be some snow showers. Don't be shocked if you see some. But right now, no significant lowland snow threat. And by Tuesday at 10 AM, the air over us will be frigid...the coldest we have seen in a while. Eastern Washington, particularly along the eastern slopes, will be particularly cold and windy. By this time the Northwest will be dry. Wednesday at 10 AM, even colder! We are talking about minimum temperatures over the western Washington/Oregon lowlands in the 20s and upper teens, and lower teens/single digits in eastern Washington. You got hoses attached on the outside of your home or apartment? Disconnect them and drain the water. Drain irrigation systems and bring in hummingbird feeders at night. Regarding mountain snows, here is the current forecast 48h total ending 4 AM on Tuesday. 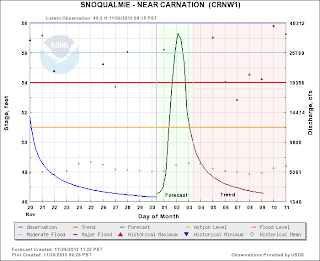 1-2 feet in the higher Cascades, less than a foot in Snoqualmie. A nice refresh for the mountains, but not as much as predicted a few days ago. Finally, here is the last NOAA/NWS Climate Prediction Center 6-10 day temperature forecast for the U.S. All I can say is WOW. Very certain of much colder than normal temperatures (the dark purple colors) over much of the western U.S. Anyway, there is much more I could talk about...like the strong NE winds over NW Washington or the potential for localized snow on the NE side of the Olympics. But I have serious cooking duties right now and want to drain my outdoor pipes in the pleasant Thanksgiving weather. Are an Arctic Blast and Snow Coming to the Northwest? The media is beginning to talk about it and the emails are coming in, so perhaps it is time to talk about the potential for cold air and snow later this weekend and early next week. My general policy is to wait until such events are about 120 hour out, because their predictability is often very low beyond that. And although some models have been indicating a cold event for a while, their forecasts have been inconsistent--suggesting large uncertainty. So now that we are getting close enough to see "the whites of their eyes", what do the latest model predictions indicate. First, snowstorm 101. It is hard to snow around western Washington and Oregon. We can be warm and wet, and sometimes cool and dry. But only rarely are we wet and cold--which you need for snow. The trick is to get moisture off the ocean and cold from off the land, without letting the ocean warmth turn it to rain. I did a paper on NW snowstorms with Garth Ferber, Mike Patnoe, and Gary Lackmann. We found that most snowstorm events looked very similar, with an upper level (500hPa) trough moving southward along the eastern flanks of a large north-south ridge in the northeastern Pacific. Like this. The trough provides lift to produce clouds and precipitation. At the surface, snowstorms are usually are accompanied by cold, high pressure over British Columbia and a low center over SW Washington. This pattern pulls cool air in from BC at low levels with moisture moving off the ocean, circling around the low, and the riding over the cool air from B.C. It all has to come together just right. So what are the latest WRF model runs showing? Here is the 500 hPa upper level map for 4 PM Sunday. Nice, strong trough, but a bit more extended east-west than the canonical snow trough. But perhaps close enough. The surface map for 1 PM on Sunday shows a strong cold front coming in off the ocean. The action starts about then, including the potential for a convergence zone snow event. Strong winds too. One day later, it is a different world. VERY cold air and intense pressure gradients in southern BC. A low off of SW Washington. This is getting close enough to the typical snow pattern to worry. The low is not super intense though. But any precipitation that falls will be snow...the question is how much precipitation will occur at this time. By Tuesday morning at 4 AM cold air has spread southward and the low has moved south with it...expect cold and dry with such a pattern. Looking at several other models (including the ECMWF) it really looks like frigid cold air is quite certain. But the run to run consistency of the details (strength and position of the trough and surface low) are quite variable, indicating lots of uncertainty. Now the snow forecasts. Here is the total snowfall for the 24h ending 4 AM on Monday. Lots of snow over the mountains (foot plus over the Cascades), with several inches over Seattle to Everett. This lowland band is associated with a convergence zone and the leading edge of arctic air coming out of the Fraser gap. Note snow on the NW side of the Olympics--classic with Fraser outflow. You want to see the Fraser gap winds? Here is the forecast of sustained winds at 10 PM on Monday. Strong NW flow heading towards the San Juans and Victoria, and then on to the Olympics. I can't stress enough that there is still considerable uncertainty about the lowland snowfall, in contrast to the Cascades, for which a few feet is relatively certain. These kinds of situations are reminiscent of the details of setting off explosions. Although you need to have a match, explosives, and dry conditions, there is no certainty everything will come together to get the big bang if the components. We have all the ingredients...now the question is how they will come together. And to get significant lowland snow over western Washington, the requirements are exacting and relatively rare. 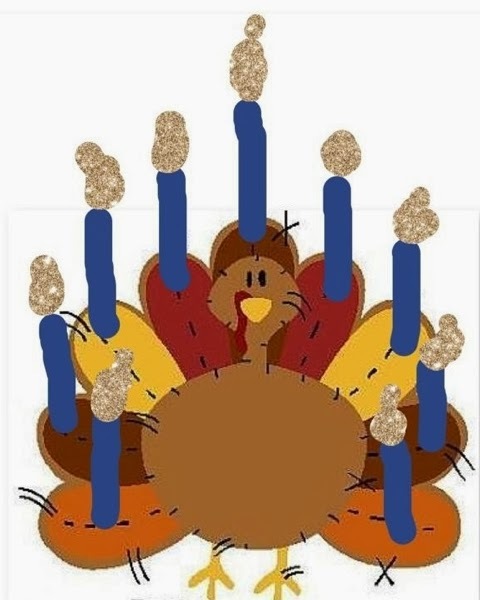 What about Thanksgiving Day? Mainly dry, but cloudy. Perhaps a few sprinkles late in the day. Friday will be cloudy with a few light showers. The big action will be on Sunday and early Monday...unless the models change, again. You coming home from east of the Cascade crest? Perhaps better to return on Saturday. Have an Android smartphone with a pressure sensor (such as Samsung Galaxy III or Galaxy IV)? Would you like to help with weather prediction and be able to minitor your local pressure information? Then download a pressure app for your phone. Need a Good Weather Calendar? Like to Help UW Atmospheric Sciences students go to conferences? Then buy the Washington Weather Calendar! 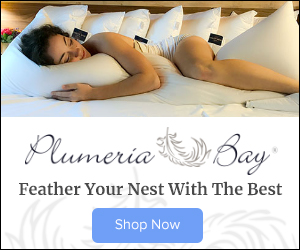 You can order online (about $15. plus shipping) here. A few dollars goes to the UW Chapter of the American Meteorological Society for each calender. A fine holiday gift for the weather lover. 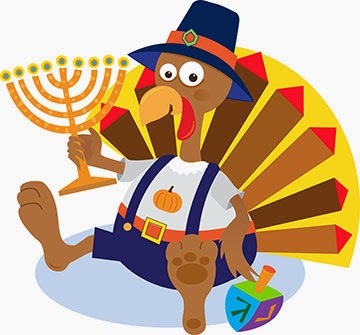 The last time it occurred was 1888 and the next occurrence won't be for 77,000 years: The first day of Chanukah and Thanksgiving will occur on the same day, called Thanksgivukkah by some. 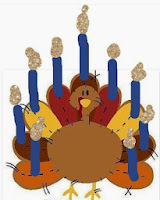 What do you think are the implications of combining "The Festival of Lights" with the day of gratitude for the blessings provided to our nation by a higher power (to paraprhase George Washington's proclamation of November 26, 1789)? The answer should be clear to anyone that is meteorologically inclined: a day with a great deal of sunshine over the entire nation. A day with a lack of storminess and ill-weather. And here in the favored Pacific Northwest we should be particularly blessed, because we deserve it. by the National Weather Service that is valid at 4 PM Thursday PST (7 PM Thursday EST). This forecast shows three-hour precipitation (shading) and sea level pressure. The signs of divine intervention (or at least Thanksgivukkah intervention) are obvious. Precipitation is supernaturally avoiding virtually the ENTIRE US. Where there is precipitation over the ocean, it sudden ends at the coasts. The only exception is far NW Washington State, but not many folks live there and most of those watch Canadian TV. In other words, they don't count. But there is more. Look at the sea level pressure pattern (solid lines). High pressure dominates most of the nation and there are no low pressure centers or storms influencing the U.S. mainland. 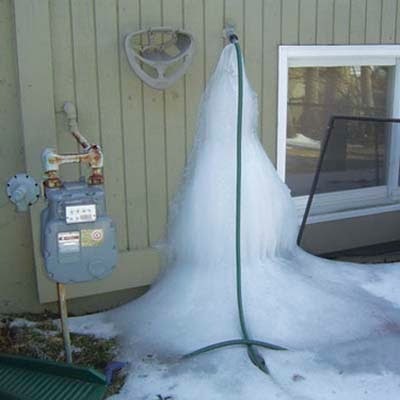 Even most of Alaska is experiencing high pressure. As a trained meteorologist let me assure you that to see the entire U.S. spared of inclement weather in late November is a miracle of the first order. Living in God's country here in the Northwest, we can, of course, expect a special benediction by this confluence of Chanukah and Thanksgiving. Plus, we suffer from bad weather more than most and are thus more deserving of special intervention. Monday, November 25th, will be the 6th straight day without rain, during a period when the climatological chance of rain is around 65%! And the chances looks certain that Puget Sound will go without measurable rain at least through Wednesday (8 days), with some light rain late on Thanksgiving. Does the number eight (8) ring any bells with you? It should. The miracle of Chanukah was that there was enough oil in the temple for one day, but it lasted a full eight days. Here is Seattle we will enjoy eight dry days, when we would have been lucky to have had one. Profound and bit scary. 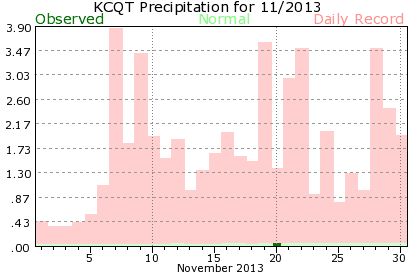 So how unusual is such a string of 8 dry days at Seattle Tacoma Airport? I can answer that. Here is a plot of the probability of getting at least .01 inch over a period of eight days at Seattle Tacoma Airport. The probability is very high, around 97%. So the probability of getting less than than .01 inch over 8 days is only 3%. Very unusual to say the least. Not convinced yet? Have you been reading about the new comet, called Ison, that appeared in our night skies? Guess what day it will be closest to the sun and thus brightest--potentially very bright? Thanksgivukkah. 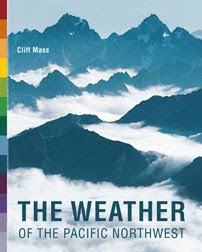 I have spent my life as a scientist, following the laws of logic and physics to describe and forecast atmospheric phenomena. But I, steeped in science and technology, must acknowledge that there are occurrences beyond the ken of human knowledge that represents the intervention of a divine power greater than our facilities. This is such a time. Happy Thanksgivukkah. Although it is practically calm here in Seattle, the winds are blasting in the western portions of the Columbia Gorge and on the western slopes of the Cascades downstream of gaps in the terrain. The reason? There is cold air and higher pressure in eastern Washington and lower pressure west of the Cascade crest (see forecast map for 10 AM Saturday AM to see this). Big pressure difference along the crest, with a 10 hPa (mb) difference between Seattle and Yakima. Air loves to accelerate from high to low pressure in terrain gaps, producing very strong winds on the western side of the Columbia Gorge. 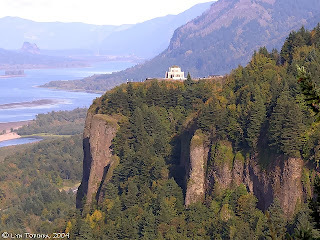 Consider the winds at one of my favorite locations, Vista House, position above the Gorge at Crown Point (see picture). Here are the winds there today at Vista House. Sustained 40 mph with gusts reaching over 77 mph earlier today. That would get your attention! And here are the max winds observed around the western Gorge for the past 24 h (ending 1 PM Saturday). Very strong winds on a hilltop on the opposite side of the Gorge (61 mph) and even Troutdale and nearby locations had gusts about 40 mph. Now I have a treat for you. We can secure wind observations from jets landing and taking off from Portland Airport. Here is what the planes observed for the 24 hr ending roughly 10 AM this morning. (Keep in mind that time is along bottom axis...later to the left...and height in pressure is the ordinate...850 hPa is about 5000 ft. Temperature is shown in red.) There are strong easterly winds (30-35 knots) in the bottom few thousand feet. But go above 5000 ft and winds become light. Classic for gap flow. And we have some of the gap flow fun around Seattle too, but the effects are not as profound because our gaps are just a lowering in the height of the Cascade crest, not a sea-level gap as exists in the Columbia Gorge. Here are the max 24h winds for the last day. Roughly 40 mph gust at Alpental and east of North Bend, with some winds extending to Snoqualmie and Preston. The extraordinarily fine late November weather will continue the next week. Really, it is a gift to get such a dry, sunny period this time of the year. Here is the forecast rainfall over the next 72h. Oregon and Washington will get nearly nothing, with the exception of a passing blow to the NW coast. 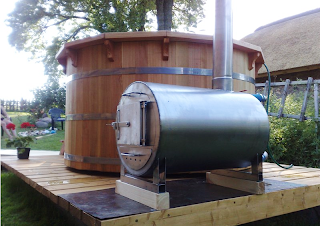 is working on your hot tub....you will need it. Because of the weather next week, Californians will need some very large heaters for their hot tubs. Last year, a number of Los Angeles residents and their media representatives were happy to accuse us of being snow wimps. Here is the proof. Among the insults that would raise the ire of any true Northwesterner in this article are these : "Color Seattle Clueless" and "The City has always marched unarmed into it infrequent battles with snow". There is worse, but I dare not repeat them in this blog for fear of the reaction of the stalwart, proud readers of the blog. It's payback time. After month's of dry weather Los Angeles has been hit by some light rain and they are in near panic mode. 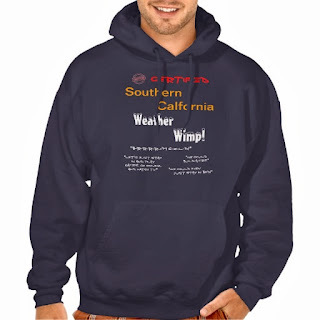 Northwest residents can smirk and call it like it is: Los Angelenos are rain wimps. It just brings a smile to your face. Los Angeles TV stations are providing dawn to dusk coverage of this soggy threat to life and limb. For example, here is a video of a LA station that will warm your heart. Listen to the wise advice of some women when asked what do when it rains (click on image or link).
" Debris and trash make their way into the ocean whenever it rains." "A rain advisory is in effect for all Los Angeles County beaches until Sunday morning. Jonathan Fielding, director of the county Department of Health"
Since it rains so infrequently in LA, a Santa Monica group has found another use for these devices: as a weapon. So what are the severe rain conditions being experienced down in LA? 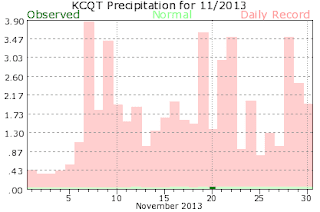 Here is is precipitation plot at downtown LA form the National Weather Service for November. The green bar indicates the observed rainfall: .05 inches. LOL. The red bars are the daily records. What kind of weather pattern is producing this RainMageddon pattern for LA and sunshine for us? Here is 500 hPa upper level chart at 4 AM Friday morning...a nice ridge over us but a closed low over southern CA. Just as we like it. And folks I have amazing news for you...it will be pretty much dry here for the next week, with only a chance of few sprinkles on Tuesday. This should be the wettest, stormiest time of the year for us. It won't be this year. Enjoy the sun.